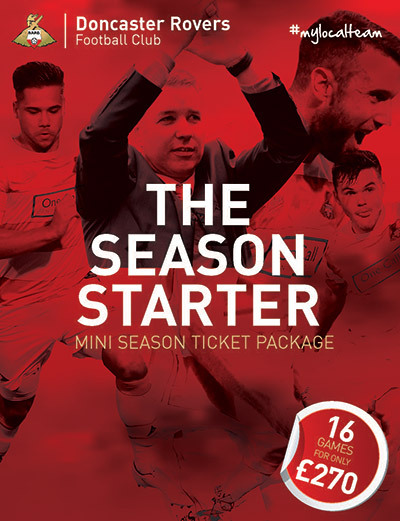 Have you already got your 2015/16 Doncaster Rovers season ticket? If so, then you have the opportunity to earn money back from Rovers by finding new season ticket holders. For the 3rd year running the club are running the "Be a club scout" scheme, one of the original success stories of the VSC's #IRWT programme. Simply get a friend to download the application form, complete and include your details at the bottom under "Scout Details" and return to the club. Once the new season ticket holder has paid for their season ticket in full, the scout will be entitled to 10% of the season ticket value (up to £27).